We’ve just spent the past four months expanding and renovating our Dupont studio. It looks absolutely stunning – we’re very excited to share it! Overall, everything went quite smoothly…. We’re just putting the finishing touches on and preparing for our awesome launch party on Jan 16th. There were a few hiccups along the way. And when things go right and things go wrong, I like to sit down and reflect on why. This helps you be better prepared for the next time and often translates into profound lessons to other areas of life. It’s also a great way to bring closure to the project itself. I’d like to share four key elements that made our renovation experience flow smoothly. These are universal points you can apply to your home life, teaching life and any future renovation projects you decide to undertake in 2015. What exactly are you trying to do? What end result are you trying to achieve? How long will it take? Who will be involved? Who will not be involved? 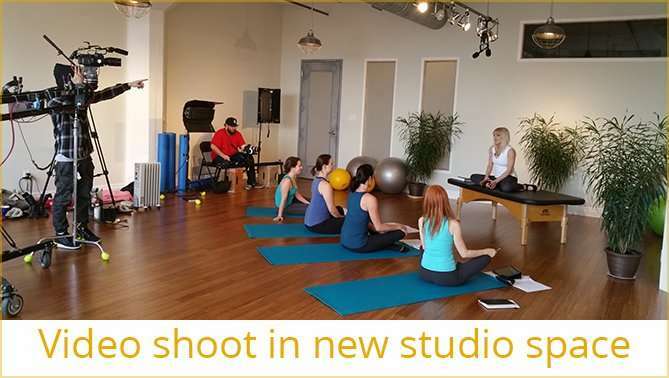 Our Dupont studio had outgrown itself, especially when it came to one-on-one training. 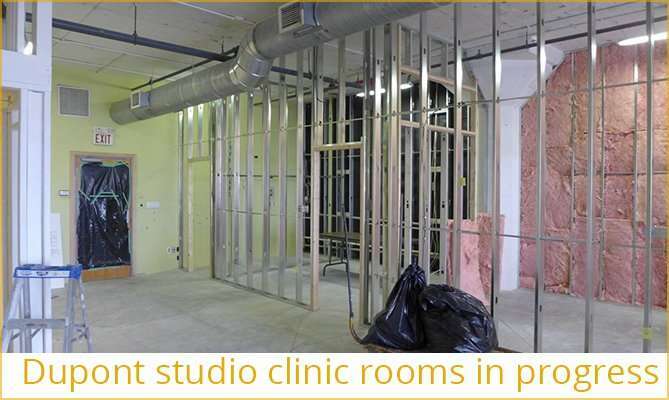 We also had clients asking when our integrated health clinic services would be available at this studio. We clearly needed more space!! Conveniently, the adjacent studio space was vacant. Our awesome landlord gave us 3 months rent-free to complete our renovation. Our primary concern was to keep the studio day-to-day flow going. We decided that we would ensure that there were no “closures due to renovations”. We created a plan that ensured the additional space would be renovated first. 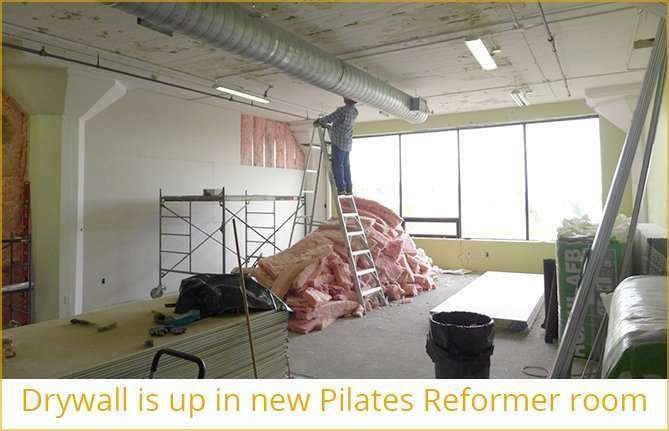 Then, with a one-night turn around we broke through the wall, did some fast drywalling and voila – our studio grew into its new incarnation in just hours. One of our best decisions was to hire a project manager to coordinate the plumber, electrician, painters, flooring guys, etc. This required managing of course, but cut down the headaches and stress by a ton! Almost every detail of our renovation and expansion was thought through and planned: layout, flooring, paint colour and how the space would be best utilized. To-scale plans were drawn, lists ad nauseam were poured over weekly and regular check-in meetings were a priority. Not to mention late night texts! It goes without saying the more detailed the plans, the more efficiently they can be carried out. Look at every aspect of your plan and think through anything all possible obstacles and trouble spots. Do this in different ways – close your eyes and visualize the various stages of your plan, look at your written notes, walk through the space, talk to others about their past experiences. For every potential challenge, make sure to think through one or more possible solutions. Most potential problems won’t even happen but you will feel more prepared and way less stressed if you think them through ahead of time. Most importantly, you are much better equipped to change course quickly as needed! One of our potential challenges was the fact that we had to extend our time frame. Old news to anyone who has done a renovation, but stressful nonetheless. In short it meant contracting work to be done at night, spending more money and getting creative with how to ensure there were no disruptions for our clients. Another potential challenge was dust! 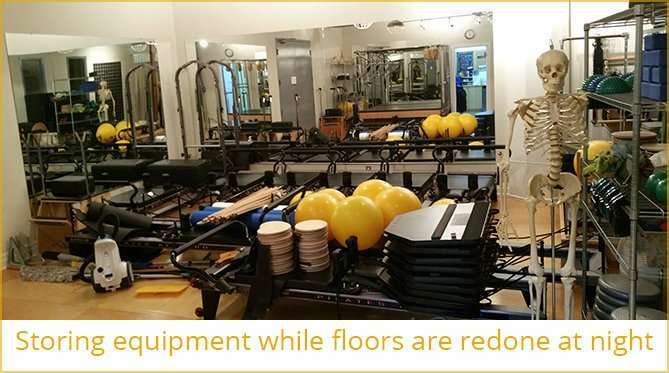 We redid all the floors in our current space to match the new space while we were in the midst of renovations. Cutting hard wood makes a lot of dust, so our installers brought in a special tent with a vacuum to keep dust at a minimum. People tend to be creatures of habit. We like to do things the same way every time – it brings us a sense of certainty. 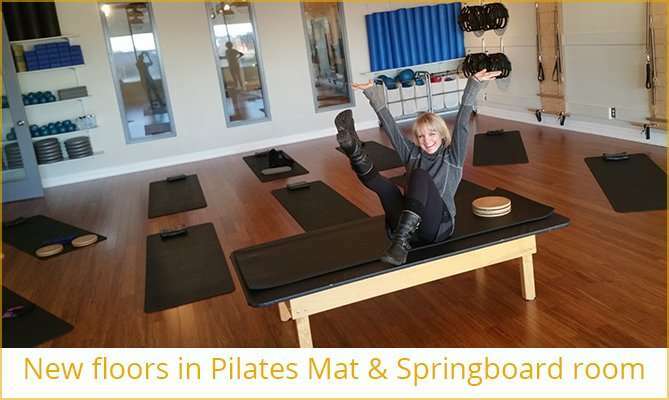 During our flooring installation, we were asked to close the entire Dupont studio for a few days for the floors to be installed. Since the floor install ended up being around the holiday season, we asked the construction crew to work at night so classes could continue as usual. It was exciting because the studio kept transforming day by day. Everything wraps up this week! 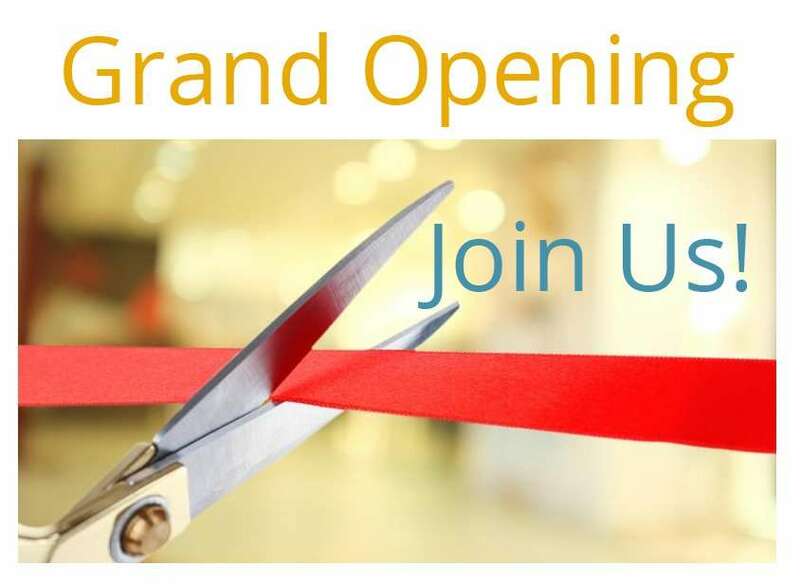 We are preparing for our grand reopening party and if you haven’t been to the studio recently, I’d like to invite you to stop in. Jan 16th, 7-9pm is our party and you are welcome any other time as well.